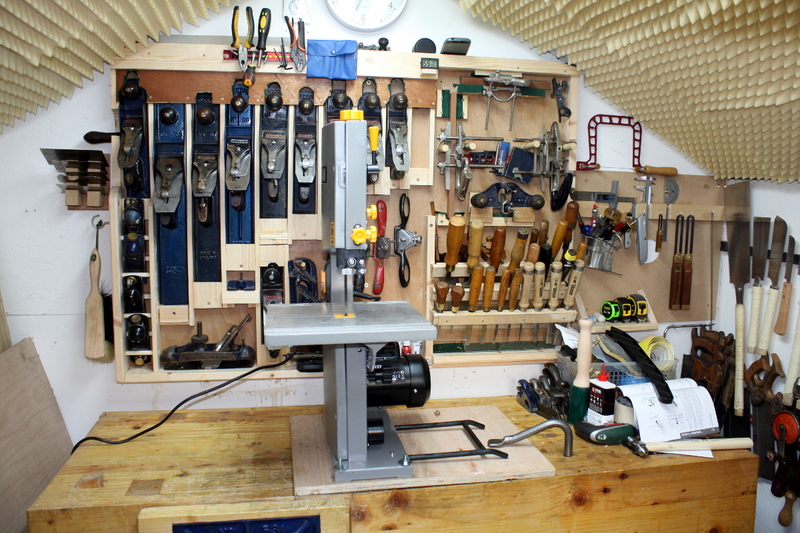 So it’s pretty obvious that all my woodworking stuff is done with hand tools, right? 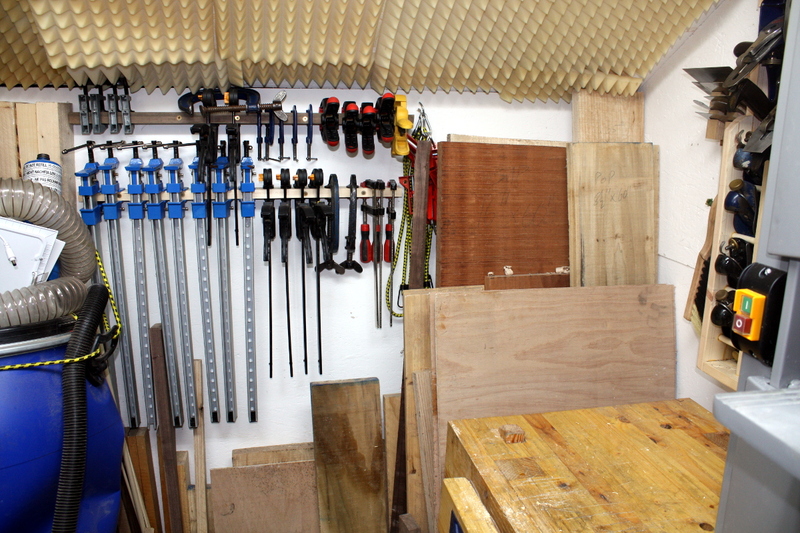 It’s not because of an ideology, it’s because 8’x6′ sheds don’t give you a lot of room for power tools or machinery. I do find the power tools really obnoxiously loud, but that’s a secondary point and it’s mainly because the cheap modern power tools tend to use lightweight construction and universal motors in order to hit a price point and so make a lot of high-pitched noise — older stuff with induction motors and a lot of cast iron are a lot less screechy (you definitely do need hearing protection anyway, but for the neighbours it’s a significant qualitative difference). 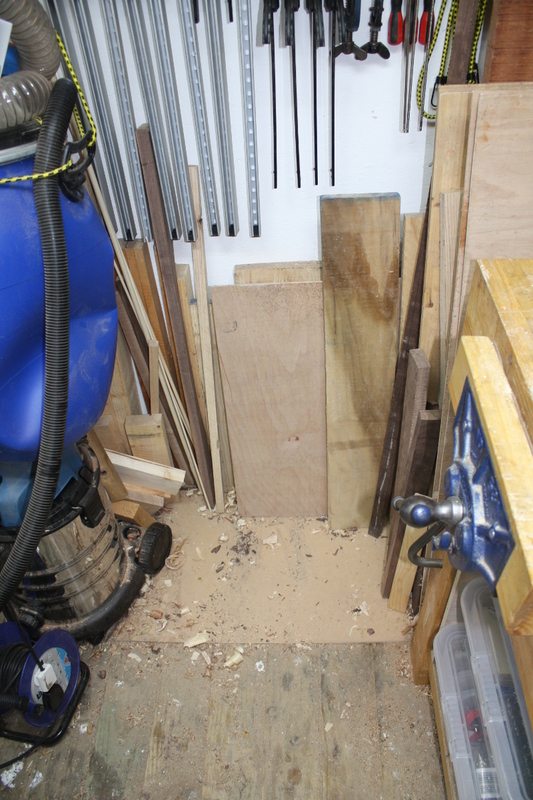 And for some things – joinery, shaping, finishing and so on – it’s more of a challenge to use hand tools and so more satisfying to do. But there are some tasks that just don’t have that challenge. 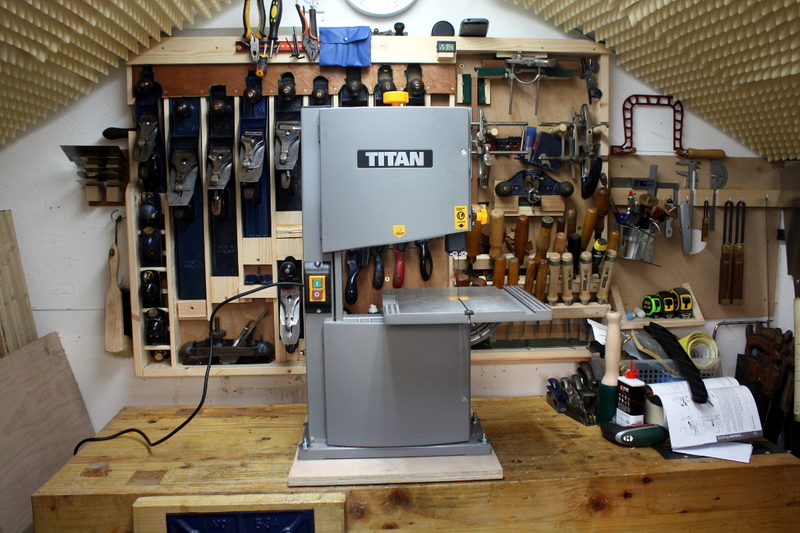 I should say for the non-woodworkers here that the whole “what really counts as hand tool woodworking?” question is a long-running one. My answer is that if it’s a task that in the 18th century was handed off to apprentices to go do unsupervised, well, handing it off to a machine isn’t really showing a lack of ability, just a lack of time. 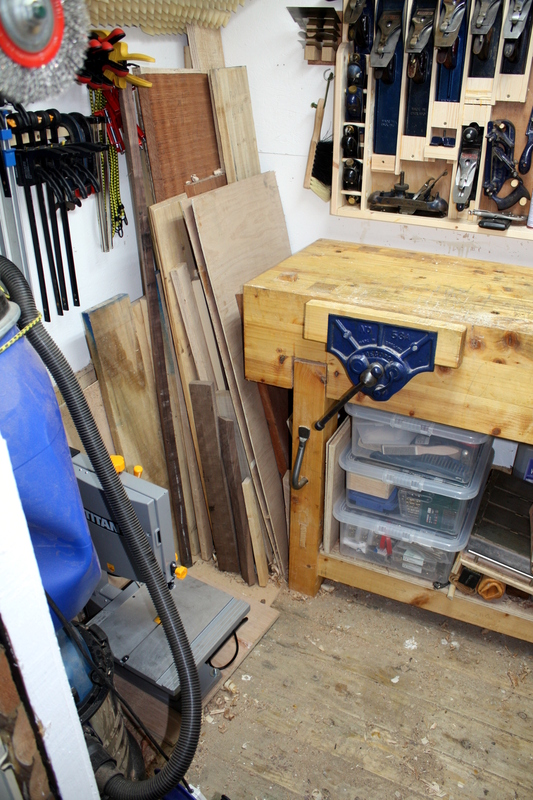 All of which prevarication is a run-up to saying I’ve bought a new power tool for the first time in a long while. Well, what else is a husband supposed to do on a day off while the wife is off visiting her sister? Exactly, bandsaws. 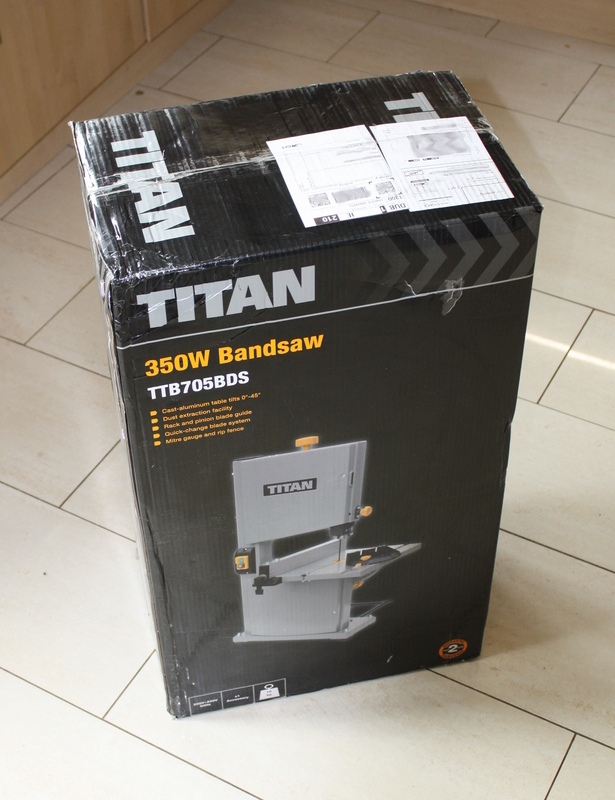 So I was waiting for the Aldi version to show up again, but that didn’t look like it was happening this year so I trotted off to Screwfix to order the Titan (ordering or buying off the shelf in any Dublin shop would have doubled the pricetag). 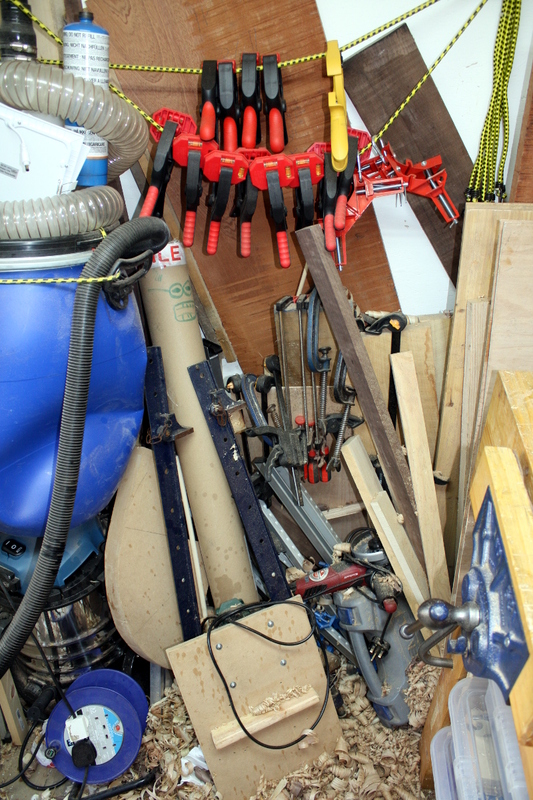 The nice delivery man showed up this morning with the box so off I trotted to the shed with and unpacked it. 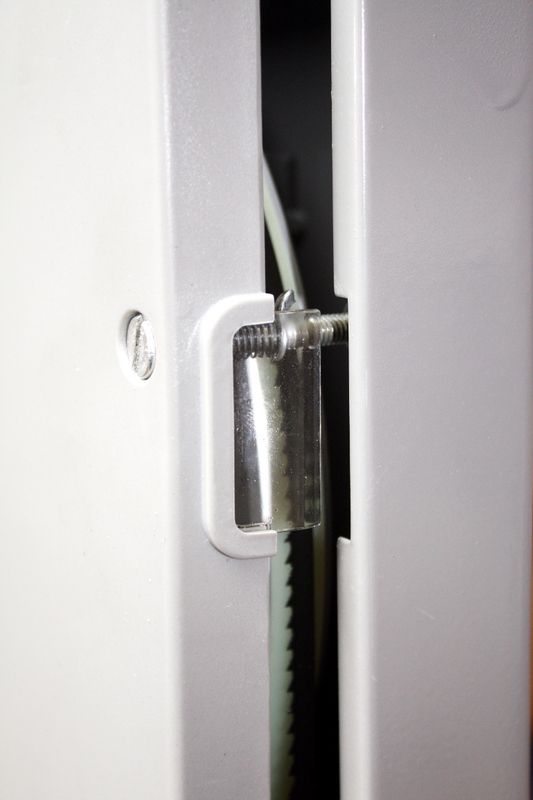 There are less fun bits – the screw latches of the case aren’t captive nuts opened by a single half-twist, but full-on ten-turns-to-latch bolts. And the bottom door isn’t fully closed at the top when the bolt is fully seated. But the blade seems to run quite true and the supplied blade is quite clean-cutting. 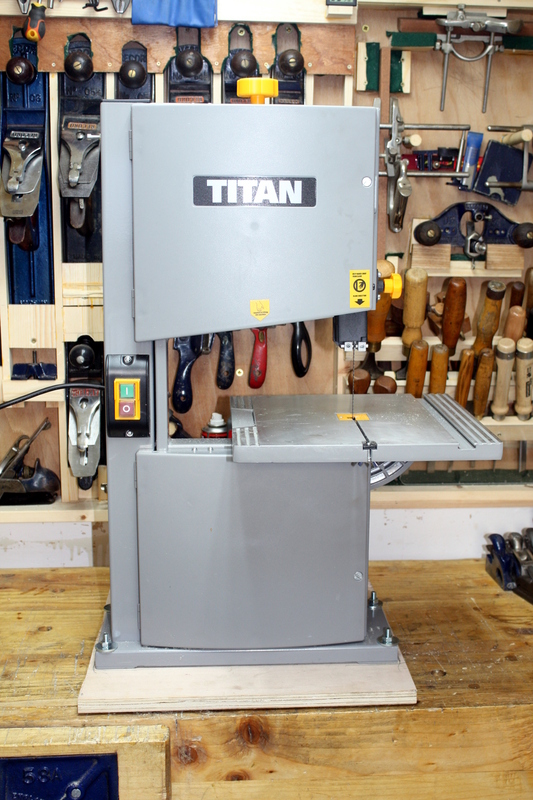 I do have three others coming from Tuffsaws – a fine quarter-inch blade for curves, a three-eights inch blade for general work and a half-inch blade for heavier work, though “heavier work” here is quite relative – this is never going to resaw anything wider than 70mm. 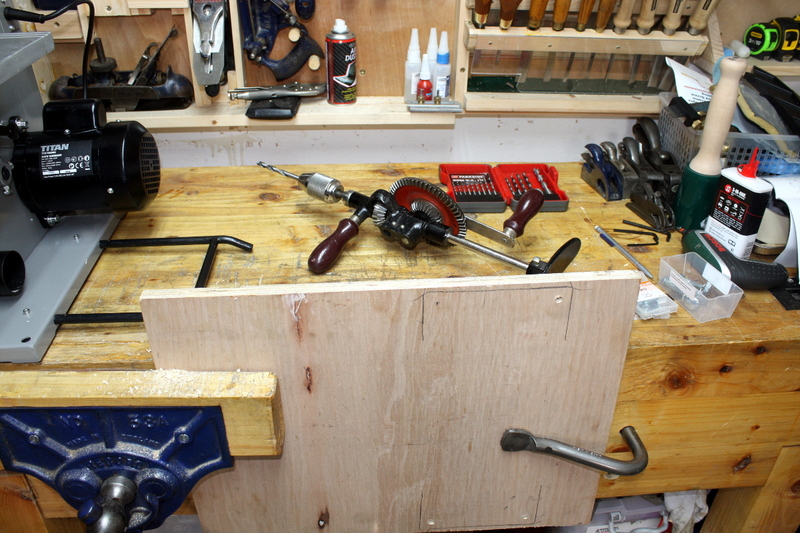 I didn’t abandon the hand tools when building the base at least 😀 The base gets holdfast-ed down to the bench for work. Of course, it can’t live on the bench, the only place for it is down on the floor (with the blade guide dropped right down to protect the blade of course). Just … right… down… there. Ah. Right. 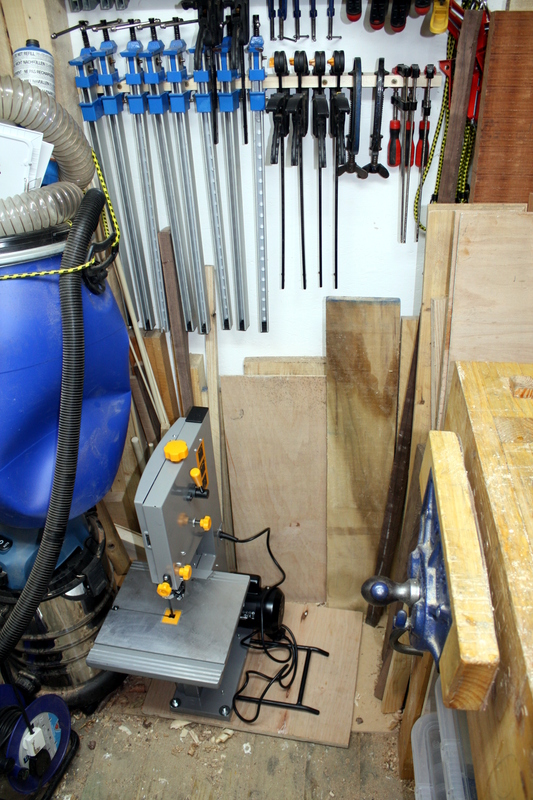 I have been putting off the tidy up and clamp storage job for a while, haven’t I? Oh well. 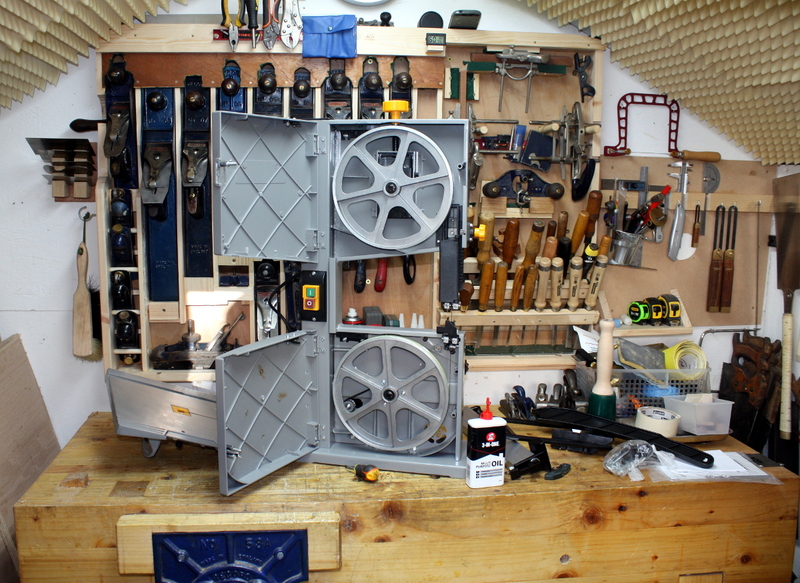 So this should help with some rough work, and I wouldn’t mind trying to make a bandsaw box or two. 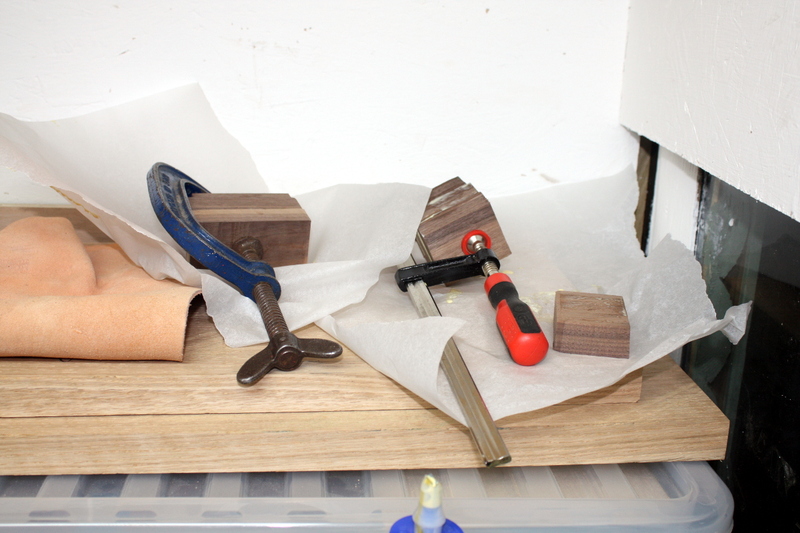 I have a bunch of tiny scraps of walnut left over from the cot that I have been trying to find a use for.